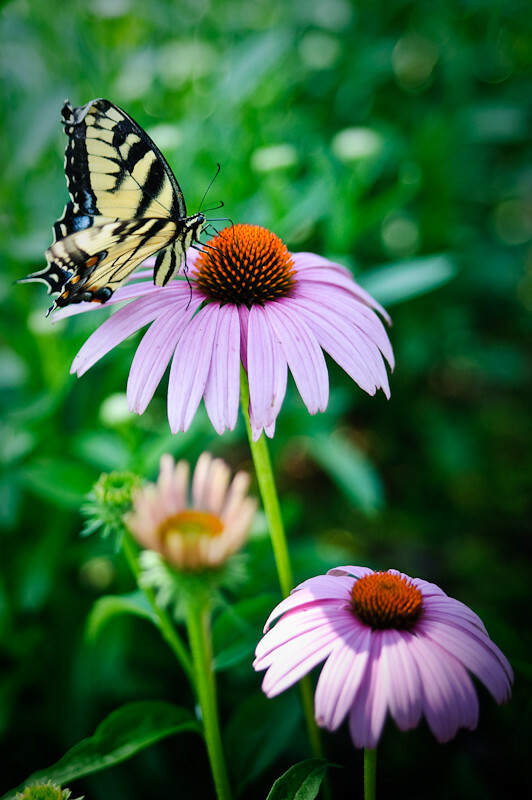 Jamie spotted a butterfly on our neighbor’s coneflowers as we pulled into the driveway. I grabbed my camera and walked next door to photograph a little lawn wildlife. Simply stunning. Well spotted by Jamie and very well taken. .-= Firefly´s last blog ..Voortrekker Monument =-.